5. Discipleship Training (“The Attributes of God”), Sunday, 5 p.m.
* Pam at home recovering from knee replacement surgery. * Bill, father of Walkers’ son-in-law, in hospital with blood clots in his lungs. This Sunday brother Curtis McClain will fill the pulpit in my absence. Please keep him in prayer as he prepares to preach the Word. It’s never too late to join our Monday night study of the book of Revelation. We are studying the seven letters to the seven churches from chapters 2 and 3. Come join us tonight (Monday) at 6:30 p.m.
Saturday, July 26 is a swimming fellowship for everyone even if you are not swimming! The fun begins at 2 p.m. at the home of David and Christy Diamond. Check future bulletins and newsletters for specifics but mark your calendars now! The second Wednesday of each month is our church business meeting. That means we will all gather at 7 p.m. this Wednesday to discuss the business of the church. Come out and be a participant. As you probably know by now, Debbie and I will be out of town next Sunday. We had planned on visiting my sister in northeast Indiana this past January. But, at the last moment, we had to postpone the trip due to weather. So we are leaving this Thursday and will return late next Tuesday. In my absence Dr. Curtis McClain of Missouri Baptist University will preach. I encourage you to be present, lift him up in prayer as he proclaims the Word, and enjoy the spiritual meal he provides you next Sunday. Finally, there is another matter that has been on my heart for some time (long before I came to Bethesda). Expressing my thoughts will result in a longer newsletter but I pray you take the time to read it. Here are two critical verses from God’s Word which, in my humble opinion, many who profess the name of Jesus in our day need to carefully ponder. What follows is my translation with emphasis on the verbal forms in the two verses. And by this we are presently and constantly knowing that we have come to know him once and forever, if we are presently and constantly keeping his commandments. Whoever is saying “I have come to know him once and forever” and are not keeping his commandments is a liar, and the truth is not in him. In verse 3 John gives us the positive key to having assurance of our salvation. “To know him once and forever” is a statement implying a permanent relationship with Christ, i.e., salvation. If our lifestyle reveals we are consistently keeping the commandments of Jesus then we may have confidence that we are, indeed, His children. But in verse 4, John presents the other side of the equation. If someone is claiming they possess salvation (“I have come to know him once and forever”) but they are not living a life which consistently keeps the commandments of Jesus, John says that person is a liar. Furthermore the truth is not in him. I believe that last remark means this liar is a false professing individual. He does not have God’s Spirit (the Spirit of TRUTH) dwelling in him. He is NOT saved. Professing Christians, examine your life. Are you consistently and continuously keeping the commandments of Christ? If not then John says you should NOT trust your profession of faith. If you know Christ has commanded you to do something and you refuse then you are disobedient. And if that disobedience is habitual, you have not been born again. You are not saved. You are under God’s wrath. 1. Repent of your sins. 4. Join with a local church. 5. Be filled with the Spirit. 6. Worship together with fellow believers. 7. Share the Gospel with others. 10. Give (time, money, service). These are some of the commandments given by Christ. A person who has been truly born again DESIRES to keep all of these commandments (and more). We are saved by grace not by keeping the law. But once saved, we long to keep our Lord’s commands and we strive to do so. have never truly believed. God has not regenerated them and implanted His Spirit into their heart. They are simply trying to live a different kind of life on their own, the kind of life they know “church people” expect them to live. Why would we be surprised if a church has no power when it consists of many members who are unbelievers? I am grateful that God has called me to be your pastor. However, God has not given me the ability to read hearts. Therefore, I challenge you and exhort you to examine yourself. Are you keeping Christ’s commandments because you long to please your Master? Or does your life reveal that you really have no interest in the things of God and obeying the Lord’s commands? May Christ give you wisdom as you examine your own soul. And may He bless next Sunday’s service! Join us for an Outback B-B-Q! We call our church picnic an “Outback” BBQ because it will be held “outback” of our church building! Our church picnic will be held on Saturday, June 14 beginning at 4 p.m. In case of rain we’ll move the picnic indoors. Bring your lawn chairs and any type of umbrella you want to use for shade. We are also asking everyone to bring a drink and 2 side dishes. The church will provide hamburgers, hot dogs, and buns and we’ll BBQ them “outback”. If you would like a grilled brat instead, just bring your own and we’ll grill it! Our picnic will include an inter-generational kick ball game. If you have other ideas (games, etc.) bring them along! To help us with planning the picnic, there will be a sign up sheet on the table in the foyer. Invite your friends, families, and neighbors! 1. Bible Study & Prayer Meeting, Wednesday, 7 p.m.
2. Deacons’ Meeting, Wednesday, 7:45 p.m.
3. Men’s Breakfast and Book Study, Saturday, 8 a.m.
4. Sunday School, Sunday, 9:15 a.m.
6. Discipleship Training (“The Attributes of God”), Sunday, 5 p.m.
Dennis & Pam DePriest celebrating their wedding anniversary on Saturday, June 7! We complete the salutation of the Epistle to the Romans in our exposition of Romans 1:7, “The People of the Gospel”. Yesterday, Georgia Baggett and Glenda Averett presented themselves for membership to Bethesda Baptist Church by transfer of letter! We rejoice that the Lord has led these dear ladies to our fellowship and we welcome them! If you were not able to be here yesterday, make sure you greet them next Sunday and welcome them to our congregation. Per our church bylaws, their request for membership will be formally voted on next Wednesday, June 11, during our monthly business meeting. A reminder that we will vote on an amendment to our church bylaws at the June 11 business meeting. This amendment is fairly lengthy (3 pages) and completely replaces section 6 of the bylaws on Deacons. Copies of this amendment are available on the table in the foyer of the church. Of, if you would like an electronic copy, just let the pastor know. If you have questions, please direct them to Pastor Bruce. Julie is in San Diego on her mission trip. Please keep her in your prayers and consider helping her with the cost of this trip. I spent a few moments in yesterday’s message discussing grace in general because I truly believe we do not take the time to seriously ponder all that God has done for us. Everything in our life is a result of the grace of God for we do not even deserve to be alive. In verse 5, however, Paul is discussing the saving grace provided by the Gospel. While God’s grace is continually poured out upon us, Paul writes “we have received grace”. He is talking about specific grace we (Christians) have received in the past and the most specific act of grace any Christian can point to is the grace God gave him in salvation! Let us praise God every day for all He graciously does for us. But especially let us praise Him for the salvation that He purchased for us and provided to us! This past Saturday I had the privilege of marrying my grandson to his fiancé in our building. The service went very well and many of those in attendance complemented the church facility on its appearance both inside and outside! What a tremendous testimony of stewardship this is for each of you and especially our Trustees who have the responsibility for the building. My hat is off to you for all your time and efforts! While I applaud all the Trustees, I do wish to single out two: Rich Norvell and Jon Bounds. Thank you both for all you did over the past couple of weeks to prepare the facility for the wedding. I am grateful. May our Lord bless your entire week! Julie will be leaving tomorrow (Tuesday) for 10 weeks in San Diego. Keep her and the team in your prayers. After services yesterday I was told some of the team were driving to San Diego and had their cars break down in route. So especially pray for them as they try to get the necessary repairs made and to San Diego in time. You may still contribute to help with the cost of Julie’s trip if the Lord so leads. 2. Wedding at Bethesda, Friday & Saturday. 4. 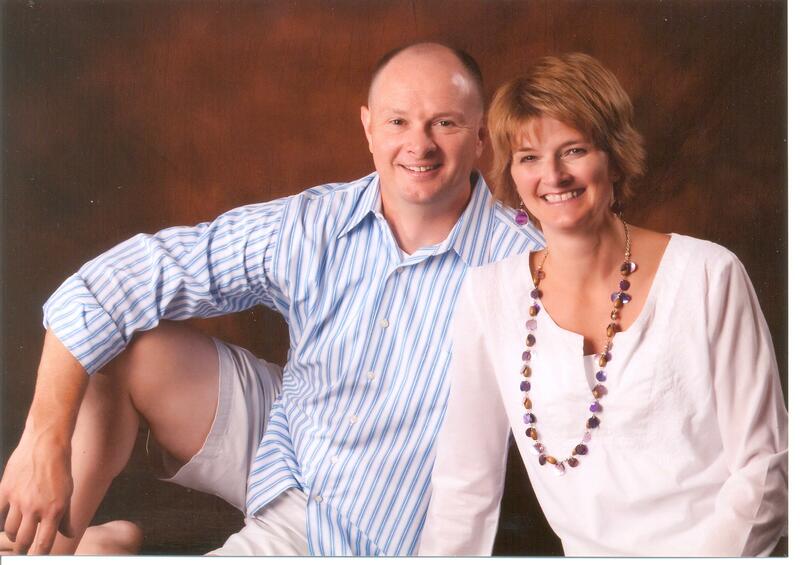 Worship Servicer, Sunday, 10:30 a.m.
Bruce Walker celebrating ANOTHER birthday on Tuesday. We continue our look at the salutation to the Epistle to the Romans as we examine “The Provision of the Gospel” from Romans 1:5-6. If you check the June calendar you will see our church picnic is two weeks from this coming Saturday on June 14 (Flag Day) at 4 p.m.
More information to follow in upcoming newsletters and bulletins. Mark your calendars! We will vote on an amendment to our church bylaws at the June 11 business meeting. This amendment is fairly lengthy (3 pages) and completely replaces section 6 of the bylaws on Deacons. Copies of this amendment are available on the table in the foyer of the church. Of, if you would like an electronic copy, just let the pastor know. If you have questions, please direct them to Pastor Bruce. COMING IN JUNE: our second “5th Sunday Q & A Fellowship” on June 29. Submit your questions early and mark your calendars! v. 3 – “according to the flesh” is a prepositional (kata) phrase meaning exactly what it says. ; v. 4 – “according to the Spirit of holiness” is also a prepositional (kata) phrase with that meaning. Paul intended for the structure of these two verses to be extremely similar. In doing so, he has communicated some of the greatest Christological (“about Christ”) truth in the Scripture! Yes, His Son is a human (verse 3). Yes, His Son is God (verse 4). That’s wonderful and awesome at the same time! The One born at Bethlehem was the divine Word. The Incarnation does not mean that God manifested himself as a man. The Word became flesh; he became what He was not before, though He never ceased to be all He was previously. He who was in the form of God and thought it not robbery to be equal with God “made Himself of no reputation, and took upon Him the form of a servant, and was made in the likeness of men” (Philippians 2:6-7). The babe of Bethlehem was Immanuel – God with us – He was more than a manifestation of God. He was God manifest in the flesh. He was both Son of God and Son of Man. Not two separate personalities, but one person possessing two natures – the divine and the human. Since our newsletter is usually only 2 pages, I have little space remaining this week. I will be brief (yes, it is possible for me to be brief). 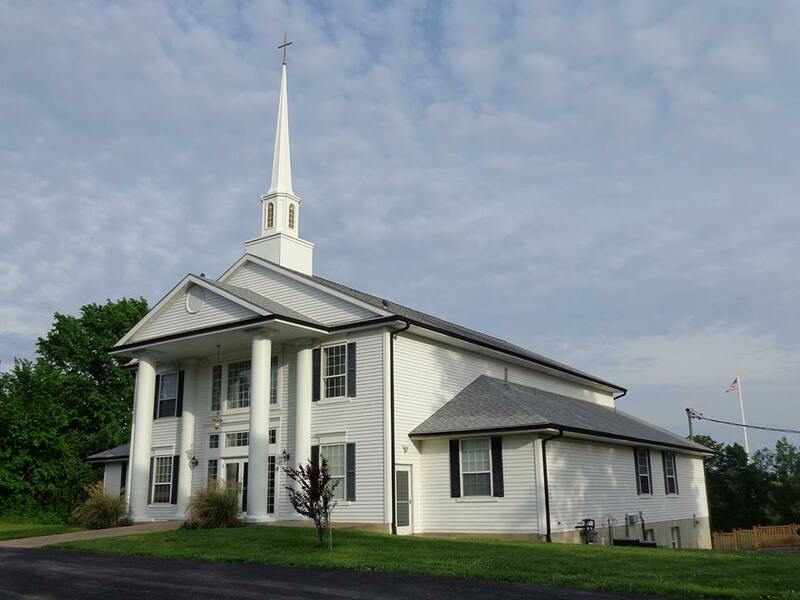 Bethesda Baptist, you, the good people who comprise this church, are a blessing to me! Have a wonderful week and may God grant some of your desires along with all of your needs! The Ladies Tea Party is this Saturday, May 24, at 2 p.m. The party is open to all adult ladies and you are encouraged to bring relatives, friends, neighbors, and co-workers. There is a signup sheet in the church lobby but, if you are unable to sign the sheet by Wednesday evening yet desire to attend the party, PLEASE contact Debbie Walker and inform her how many will be attending. It is imperative we know how many are coming in order to prepare for the party. A reminder: child care will not be provided. 2. Ladies Tea Party, Saturday, 2 p.m.
4. Worship Service & the Lord’s Supper, Sunday, 10:30 a.m.
* Cynthia Wordlaw’s need for a kidney. Julie leaves next week for her mission trip to San Diego. She will give us a brief update on this trip as part of Sunday morning’s worship service. You may still contribute financially, if you so desire, by writing a check to Bethesda Baptist and note that it is for “Julie’s Trip”. Alicia Mueller, celebrating a birthday on Friday, May 23 and Nick Brandel, celebrating a birthday on Sunday, May 25. . Happy Birthday to each of you! We continue our look at the salutation to the Epistle to the Romans as we examine “The Person of the Gospel” from Romans 1:3-4. Pam DePriest’s e-mail address is pdepries@att.net . If you have corrections or updates, please send a note to the pastor. We will issue a new directory later this year. My sermon yesterday was on the promise of the gospel of God, focusing on verse 2 of Romans chapter 1. Obviously, the key phrase in the verse is “he promised beforehand”. These 3 English words translate one word in the original which comes from the word: proepaggellomai. This word is found only here and in 2 Corinthians 9:5. It is a compound word actually composed of 3 words. * epi – “upon”; “to proclaim upon” (epaggelomai) is to make a promise. So, in the case of the gospel of God, it is the promise of God made long before Christ came to fulfill the Gospel. While our numbers were very low yesterday, I thought our worship together was quite uplifting and certainly glorified God. Aren’t you glad Jesus told us it only takes 2 gathered in His name for Him to be present and not 200?! For some I know this has been a challenging week. In such times it is critical you lean upon God and not trust your own judgment. Search His Word and open your heart and mind to His direction. May God grant you wisdom and may you trust Him more and more each passing day. God has called me to be your pastor and has guided the church to elect 4 men to serve as your deacons. If at any time we may be of assistance, please give us a call. May the Lord bless Bethesda Baptist! LADIES, you are invited to a Ladies Tea at the church on Saturday, May 24 beginning at 2 p.m. Please invite your mothers, daughters, sisters, neighbors, friends to join you at this event. All ladies are welcome but, for obvious reasons, we need a very accurate head count. Please sign the signup sheet in the foyer during the coming week and/or contact Debbie Walker and let her know how many will be attending. This event is for all adult ladies. No child care will be provided. 1. Ladies Book Study, Tuesday, 6:30 p.m.
2. BUSINESS MEETING, Wednesday, 7 p.m.
5. Discipleship Training (“The Names of God”), Sunday, 5 p.m.
Julie leaves for her mission trip to San Diego in two weeks. If you wish to contribute, please write your check to Bethesda Baptist and note that it is for “Julie’s Trip”. By the way, Julie will personally provide us with information on her upcoming trip during our worship service on May 25. The Academy will resume on Monday, June 9 at 6:30 p.m. as we begin a study of the book of Revelation. Mark your calendars and plan on attending. Meghan Bartner, celebrating a birthday on Friday, May 16. Happy Birthday, Meghan! This Ladies will meet for their final session in their current study this Tuesday, May 13, at 6:30 p.m. Don’t miss it, Ladies! We continue our look at the salutation to the Epistle to the Romans as we examine “The Promise of the Gospel” from Romans 1:2.
role as the preacher. He has been set apart for one specific task: the good news of God, namely, the person and work of Jesus Christ. understanding that his appointment is from God’s eternal plan. The phrase also has what is known in Greek as the passive voice. Paul was set apart; he did not doing the “setting”. Rather, it was done to him. Clearly Paul is referring to God’s actions. Paul was not seeking God or Christ. He was not seeking to be an officer in the church of God. But God had different plans for him. As a result, we are the benefactors of a great blessing: the possession of the book of Romans written by this Apostle for Christ! I trust all the mothers had a great Mother’s Day. You are well deserving of our honor and recognition for all you have done over the years for us and for the children. May God richly bless you ladies in the years to come for your faithfulness to Him! And may God bless Bethesda Baptist Church as we continue our mission to magnify and glorify the name of Jesus Christ throughout our community and to wherever the Lord sends us! Ladies, you have two more sessions in your book study. Plan on being there this Tuesday at 6:30 p.m.
4. Deacons’ Meeting, Wednesday, 7:45 p.m.
6. Worship Service, Sunday, 10:30 a.m.
7. NO Discipleship Training this Sunday. Julie is about to leave on her 10 week mission trip to San Diego. If you wish to contribute, please write your check to Bethesda Baptist and note that it is for “Julie’s Trip”. This evening at 6:30 p.m. we begin our final three nights of our study of “future events” in the Academy. We start a very high overview of the prophecy recorded by the Apostle John in the book of Revelation and compare it with our observations concerning the future we have made from other books. Join us tonight (Monday) and be a part of our group. Jon and Kate Bounds celebrating a wedding anniversary on Sunday, May 11. Happy Anniversary! adventure in the Scriptures. This journey will last for some time, nevertheless, we will see many interesting (and important) truths along the way. One interesting thought on yesterday’s text is Paul’s use of the word “all”. Remember, in the context of this 3rd chapter of 2 Thessalonians, Paul has dealt firmly with those who have ceased working and, instead, are “sponging” off the church. In chapter 2 he had to correct some false teaching on the 2nd coming. In other words, there were some “problem children” among the members of the Thessalonian church.Yet, in his closing prayer, Paul omits no one from his request, not even those with whom he has corrected in this letter. * Verse 16 teaches the Lord gives us peace at ALL times. * Also, He gives us peace in EVERY (the word “all” in the Greek) way. * Then, Paul requests the Lord be with you ALL (yes, even the disobedient members). * Even in verse 17, Paul notes that his signature (sign) is the same in EVERY (again the word “all”) letter. Five “alls” in 3 verses: I think Paul has made his point! I don’t know about you, but I am glad that he uses “all” and that “all” includes me! Does “all” include you? Do you know Jesus Christ? Have you professed Him as Lord? Charles Haddon Spurgeon is considered the greatest English speaking Baptist pastor in history. He pastured the Metropolitan Tabernacle in London for almost 4 decades in the 19th century. The building would hold 7000 folks every Sunday to hear him preach the Gospel. Here are two quotes from Spurgeon I read this week while preparing to preach on 2 Thessalonians 3. I didn’t use them in my sermon but thought you might enjoy them. Since this edition is almost full, let me say I will pray for you this week that the Lord of peace may give you peace at all times and in every way! May you truly be blessed this week! Julie’s 10 week mission trip to San Diego is just about a month away. Please keep her and the team in prayer. If you wish to contribute financially towards this trip, simply write a check made out to the church with a note that indicates it is for “Julie’s Trip”. This Sunday will be your last opportunity to give to the Annie Armstrong Easter Offering for North American Missions. We have met our goal of $1200 but you may still give if the Lord so impresses you to do so. The Ladies will meet again tomorrow (Tuesday) evening at 6:30 p.m. Come out and join the fellowship and study time! 5. Worship Service, Sunday, 10:30 a.m. including the Lord’s Supper. 6. Discipleship Training, Sunday, 5 p.m. The Academy has 5 more Monday meetings including this evening. Come out and join us as we consider what the Bible says on future events. We begin at 6:30 p.m.
* Prayer for those involved in North American missions. * Karla Repperger celebrating a birthday on Wednesday, April 23. Happy Birthday! “Final Exhortations” from 2 Thessalonians 3:13-15 plus we will observe the Lord’s Supper. Thank you to everyone who participated in our weekend services. Both our Good Friday and Easter services were well attended. * Bill Savage for his wonderful message on Friday. * Audrey for playing and for her special music in both services. * Dennis for leading our singing in both services. * Jeff for his work in the sound room both days and to Alicia for her help in the morning service. * Steve, Jon, Christy, Debbie, and Dennis for reading the Scripture on Friday night. * Our band for leading us in worship with song during the Easter service. * Sandy for volunteering to read even though she then could not attend on Friday. * And to those who worked the nursery yesterday morning. I’m not 100% certain who was in there (though I think Tom was one of them!). How wonderful it is to see God’s people willing to serve Him! A new Discipleship Training class begins this Sunday at 5 p.m. Why don’t you plan on coming out and joining us for study and fellowship? We praise God for leading Bobby Henson to our church. On Friday evening, Bobby asked to join our church! He is reading through our Constitution and Statement of Faith and then I will sit down and chat with him. He professes knowing Christ as His Lord and has been baptized. If you haven’t already done so, make sure you welcome him to our church. I have two more messages from 2 Thessalonians to share with you over the next couple of weeks. Then we will prepare for a longer study of another book. Since coming to Bethesda first as an interim pastor and then as your pastor, we have traveled together through 5 of the 66 books of the Bible (Colossians, Ruth, John, 1 & 2 Thessalonians). I am so grateful to God for giving me the opportunity to preach through His Word and intend to continue doing so until I am no longer physically able to do so (and that includes being called home to glory!). I truly believe preaching through books is the best method for proclaiming the Gospel. Such a procedure forces me to address matters I might ignore with another approach. Furthermore, this form of expository preaching keeps us in the context of the author’s writing. We can’t simply pull a verse out of the Word and then say what we want. May our Lord continue to bless our Scriptural journey! And may Christ overwhelm you with blessings this week! He and He alone is worthy of our praise! The Ladies Book Study begins tomorrow evening, Tuesday, March 25, at 6:30 p.m. in the church’s Fellowship Hall. If you did not sign up but would like to attend, contact Pam DePriest and let her know. The Academy continues its look at future events this evening (Monday) at 6:30 p.m. Come and join us for some study as well as fellowship. Another reminder that Julie is preparing for a 10 week mission trip this summer. Your prayers for her trip are appreciated as is any financial help you may be able to provide. You may give with a check by making the check out to Bethesda Baptist and noting it is for “Julie’s Trip”. 3. Prayer Meeting, Wednesday, 7 p.m.
5. Worship Service, Sunday, 10:30 a.m.
6. Discipleship Training (Ruth), Sunday, 5 p.m.
7. 5th Sunday Q & A Fellowship, Sunday, 6 p.m.
Part of my preparation for yesterday’s sermon took me to a message preached by the former pastor of First Baptist Church of Dallas, W. A. Criswell. I did not quote from this passage yesterday but I do want to share it with you this morning. Dr. Criswell was an excellent preacher as you will see in how he closes the message. We are getting closer to our goal of $1200 for the Annie Armstrong Easter Offering. is $1200. All the monies received towards this offering goes to support North American missions. We will continue collecting to support North American missions through the month of April. Please contribute as the Lord leads you to do..
Easter is only a month away. I want you to be aware that we will hold another Good Friday service this year on Friday, April 18. Pastor Bill Savage of St. Clair Southern Baptist Church in St. Clair, MO will deliver the message. I encourage you to add the date to your calendar. Thanks to all who prayed for me over this past weekend and yesterday morning. I spent most of Friday, Saturday, and Sunday in bed feeling miserable. But the Lord was gracious and enabled me to attend worship and preach the Gospel. I am feeling somewhat better this morning but extremely exhausted. I do appreciate your prayers. I am also very grateful for the visitors the Lord continues to send our way. Furthermore, yesterday was probably the first Sunday in 2014 where most of our members were able to join together for worship at the same time! Praise the Lord! May He richly bless your week!